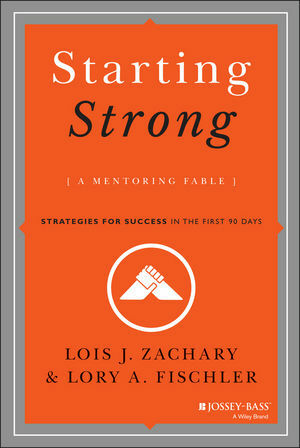 LOIS J. ZACHARY is president of Leadership Development Services and director of its Center for Mentoring Excellence. Her innovative mentoring approaches and expertise in coaching leaders and their organizations in designing, implementing, and evaluating learner-centered mentoring programs have been used globally by a wide array of clients, including Fortune 100 companies, government organizations, and educational institutions, both for-profit and nonprofit. She is the author of The Mentor’s Guide, The Mentee’s Guide, and Creating a Mentoring Culture, all from Jossey-Bass. LORY A. FISCHLER is a senior associate with Leadership Development Services and the associate director of its Center for Mentoring Excellence. She has over twenty-five years’ experience in consulting, training, and coaching clients from a diverse array of organizations, including the healthcare, manufacturing, government, and nonprofit sectors. She is the coauthor of The Mentee’s Guide: Making Mentoring Work for You.